We employ approximately 4,500 people and have a turnover of EUR 4.1 billion. TenneT is one of Europe’s major investors in national and cross-border grid connections on land and at sea, bringing together the Northwest European energy markets and enabling the energy transition. We take every effort to meet the needs of society by being responsible, engaged and connected. Taking power further. 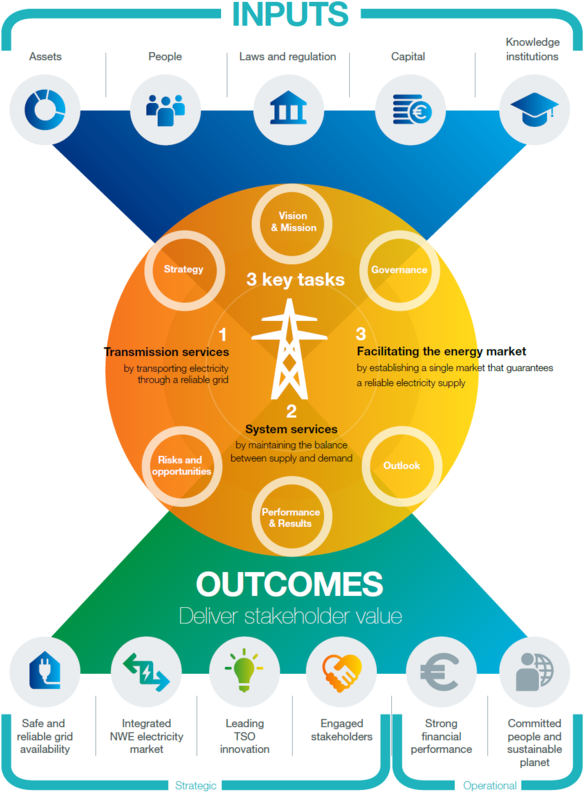 TenneT is a key player in the electricity supply chain. This chain consists of producers of electricity from both conventional and renewable fast-growing energy sources, grid companies that transmit electricity (including TenneT), electricity suppliers, customers (industrial and small-scale users) and prosumers (energy consumers acting as producers). 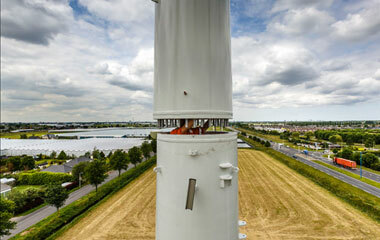 TenneT’s high-voltage grid is connected to regional and local distribution grids managed by various other grid companies (so-called Distribution System Operators, DSOs) and directly to large industrial customers. To ensure a secure and continuous supply of electricity as the key objective of our operations. To provide transmission services by transporting electricity along the high-voltage grid from where it is produced to where it is consumed. 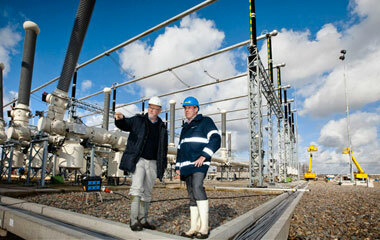 To provide system services to guarantee the flow of electricity in the Netherlands and large parts of Germany. To facilitate a smooth-running, liquid and stable electricity market and to support the large-scale transition to renewables. 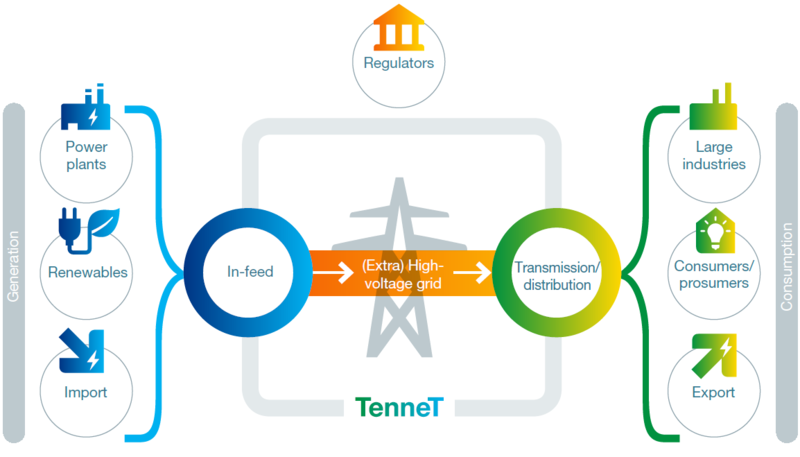 TenneT is involved in certain limited non-regulated activities, which help to ensure the energy market operates smoothly and efficiently, or are ancillary to it. As such, TenneT holds a 50% interest in BritNed, a merchant cable operator that manages the electricity interconnector between the Netherlands and Great Britain. TenneT also owns 100% of NOVEC and has a 100% stake in Relined; these companies manage infrastructure to send and receive broadcasting and telecom signals. Furthermore, TenneT (indirectly) holds a 17% share in EPEX Spot SE (EPEX), the NWE (including Great Britain) electricity exchange.